The House Small Business Committee will hold a hearing this morning entitled, “The Importance of Patent Reform on Small Business.” Organizations appearing before the committee include the USPTO, Proctor & Gamble, the National Venture Capital Association, and the Innovation Alliance. So far, the patent reform debate has been largely a discussion between “big tech,” which wants sweeping changes, and “big pharma,” which does not. The overall issue of the hearing will focus on the roles technology transfer-oriented firms play in the U.S. economy, and how difficult it should be for companies to obtain, defend, and infringe, patents. Historically, pharmaceutical manufacturers and their employees have given more than twice as much — $29.9 million versus $14.8 million – to Republicans than to Democrats. Democrats have returned the favor by pushing for re-importation of prescription drugs, lower drug prices, and other anathema topics. Changing patent laws fits into the same category. Computer and software companies have been more even-handed. They dispensed $31.5 million, versus $30.2 million, for Republicans over Democrats during a similar period. Now that the balance of power has changed in Congress, it appears the traditional battle lines between computer-tech and biotech are becoming more fragmented. The Pharmaceutical Research and Manufacturers of America (PhRMA) is the pharmaceutical industry's top trade organization, and is the biggest pharmaceutical lobby. The group maintains that patent protection should be strong, and that opportunities for invalidating patents should be limited. Taking a middle-of-the-road approach, the Coalition for 21st Century Patent Reform was created last week. Members of the group (referred to by lobbyists as "Pharma-lite") support the recommendations of the National Academy of Sciences, which advocate a stronger and more open USPTO, and also advocate eliminating subjective elements of patent litigation. Members include 3M, Caterpillar, Eli Lilly, General Electric, Johnson & Johnson and Proctor & Gamble (see patent reform positions here). On the computer-tech side, the Business Software Alliance (BSA) includes members such as Microsoft, IBM, CA, Adobe, Cisco, HP, Intel and Apple. The BSA also wants a stronger and more open USPTO, and limits on damages. However, the BSA also wants a strong post-grant review system so that patents may be invalidated without going to court (see patent reform positions here). In a similar vein, the Coalition for Patent Fairness, also wants more flexibility in challenging patents (see here). Many members of the Coalition also belong to the BSA. However, an increasing minority of tech companies that rely on licensing revenue are fighting back efforts to challenge patents at any given time. Led by Qualcomm and other chip-design companies, a new lobbying force called Innovation Alliance is accusing dominant tech incumbents of using patent reform to weaken their less-capitalized brethren. According to the Alliance, allowing unlimited challenges in the PTO on issued patents would seriously disrupt the business models of companies that rely on licenses for generating revenue. See GigaOM article, "Patent Overhaul now on D.C. Agenda." As the Community Patent Review Project (aka "Peer-to-Patent") readies for launch, a number of important concerns are being raised by prospective participants. Assume someone from your engineering staff reviews, comments, and submits prior art on a patent application. The application issues as a patent. Now you are being sued on that patent. How will this affect your ability to defend yourself in court? What if the comments came from someone in your patent department? It should cause concerns for any business owner looking to participate. For one, there's the issue of willful infringement. If your company is following along in the prosecution of the application, it will become almost impossible to claim later that you weren't "aware" of the patent, once it issues. Second, there's the issue of provisional patent rights. Under 35 U.S.C. § 154(d), a patent owner can obtain a reasonable royalty from any infringer from the date the patent application is published, to the date the patent issues. The catch here is that, before you can claim provisional patent rights, the potential infringer must (1) receive actual notice of the publication, (2) the patent must issue, and (3) the issued claims must be substantially identical to the published claims. To my knowledge, there are very few, if any, published cases interpreting any of the provisions of § 154(d), so it is unclear how this can be applied by patent application owners whose patents eventually issue. Finally, there's the issue of admissions (a "peer-to-patent estoppel," as it were). It will be difficult enough to monitor what employees are saying, but you would also have to monitor how they are saying it. And when they post on the site, it will (presumably) become part of a permanent public record. To put this another way, assume an application comes across the screen that is assigned to a litigious patent troll (take your pick). How many comments do you think that application will receive from companies that have been the troll's historic targets? 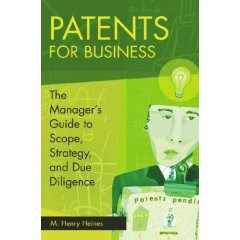 Read "Infringement fears haunt patent project" from today's BusinessWeek. SanDisk is in the flash memory storage market. ST has a sizable portfolio of patent related to flash memory storage products. In 2004, ST sent a letter to SanDisk, listing 8 patents that "may be of interest." SanDisk did not respond substantively. ST sent another letter to SanDisk, listing 4 additional patents that "may also be of interest." After an initial exchange of letters, a licensing meeting was held, where technical experts from ST gave a demonstration (and a 300 page report) which illustrated how SanDisk's products infringed on ST's patents. Discussions on a cross-license continued, where, at one point, ST stated that "ST has absolutely no plan whatsoever to sue SanDisk." When licensing negotiations stalled a few months later, SanDisk filed a declaratory judgment action in the N.D. Cal., alleging that ST's patents were invalid and not infringed. The district court dismissed the action, stating that SanDisk did not have an objectively reasonable apprehension of suit, even though it may have subjectively believed that ST would bring an infringement suit. We hold ... that where a patentee asserts rights under a patent based on certain identified ongoing or planned activity of another party, and where that party contends that it has the right to engage in the accused activity without license, an Article III case or controversy will arise and the party need not risk a suit for infringement by engaging in the identified activity before seeking a declaration of its legal rights. These facts evince that the conditions of creating "a substantial controversy, between parties having adverse legal interest, of sufficient immediacy and reality to warrant the issuance of a declaratory judgment" were fulfilled ... SanDisk need not "bet the farm," so to speak, and risk a suit for infringement by cutting off licensing discussions. Although the district court found that licensing negotiations had not been terminated, the CAFC noted that SanDisk had declined to participate in further negotiations, effectively bringing them to an end. Also, the court discounted ST's assurances that they would not bring suit, since ST's actions clearly indicated that a lawsuit was contemplated. Rules of Evidence Note: During the licensing meeting, the parties agreed to treat the discussions as "settlement discussions" under Federal Rules of Evidence 408. The rule relates to evidence of efforts toward compromising a claim in litigation. However, the CAFC found that ST’s presentation was made outside the context of litigation, and there was nothing on the record to indicate that it could be properly considered an "offer" to settle a claim which was then in dispute. Thus, SanDisk could rely on the licensing discussions and infringement study to support its claim for declaratory judgment. According to the CAFC, "[t]o avoid the risk of a declaratory judgment action, ST could have sought SanDisk’s agreement to the terms of a suitable confidentiality agreement. The record before us reflects that the parties did not enter into such an agreement." In practical application, the new test will not be confined to cases with facts similar to this one. If a patentee offers a license for a fee, the offer typically will be accompanied by a suggestion that the other party’s conduct is within the scope of the patentee’s patent rights, or it will be apparent that the patentee believes that to be the case. Offers to license a patent are not requests for gratuitous contributions to the patentee; the rationale underlying a license offer is the patentee’s express or implied suggestion that the other party’s current or planned conduct falls within the scope of the patent. Therefore, it would appear that under the court’s standard virtually any invitation to take a paid license relating to the prospective licensee’s activities would give rise to an Article III case or controversy if the prospective licensee elects to assert that its conduct does not fall within the scope of the patent. Indeed, as the court makes clear, even a representation by the patentee that it does not propose to file suit against the prospective licensee will not suffice to avoid the risk that the patentee will face a declaratory judgment action. And if there is any uncertainty on that score, all the prospective licensee has to do in order to dispel any doubt is to inquire of the patentee whether the patentee believes its activities are within the scope of the patent. If the patentee says "no," it will have made a damaging admission that will make it very hard ever to litigate the issue, and thus will effectively end its licensing efforts. If it says "yes" or equivocates, it will have satisfied the court’s test and will have set itself up for a declaratory judgment lawsuit. Cross sued Medtronic for violating their spinal implant patent and won. Medtronic appealed, and in the meantime redesigned their product to avoid infringing the Cross patent. Instead of using the threads extending below the rod, Medtronic used a "groove or undercut" that lacked thread forms to secure the screw above the rod. The applicant was not attempting to overcome prior art using an undercut, and the amendment did not relate to an undercut. Therefore, the rationale was no more than tangentially related to Medtronic's new screw design, in which threads extend part of the way toward the rod and an undercut extends to a depth below the top of the rod. Medtronic's new screw design is "beyond a fair interpretation of what was surrendered." Under Festo, the tangentially related criterion requires a patentee to demonstrate that the rationale underlying the narrowing amendment bore no more than a "tangential relation" to the equivalent in question. In other words, this criterion asks whether the reason for the narrowing amendment was peripheral, or not directly relevant, to the alleged equivalent. The CAFC reversed the district court and ruled that Medtronic did not infringe as a matter of law. Specifically, the court found that the amendment was not tangential, since the manner in which the screw was secured was relevant towards any equivalents. Also, since using "grooves" and "undercuts" was known in the art, the Cross could have claimed these features, but chose not to. This case is a classic example of the tangentiality principle running counter to principles of public notice. Medtronic had suffered an injunction. It deliberately sought to design around the patented technology—a response that patent law encourages . . . It undoubtedly consulted the patent and adjusted its technology with reference to the claim language and prosecution history of the patent. Then, after it adopted unclaimed technology that the patentee had deliberately surrendered to the public, it finds itself again subject to an injunction. Tangentiality thus, as in this case, can defeat principles of notice and proper procedures for designing around patented technology. Medtronic's situation illustrates the difficulties of a broad application of tangentiality. Not bad (the issuing of the patent took almost as long as the examination itself). "It substantially increases our costs and the risk of the application being invalidated in court," said Russ Slifer, chief patent counsel at Micron Technology Inc., which has received more than 14,000 U.S. patents in the last 10 years but has yet to apply under the new accelerated program. The Boise-based company, which makes computer memory chips, is worried because courts have the authority to invalidate patents based on findings of "inequitable conduct." That happens when applicants and their patent attorneys fail to submit all known relevant information, or "prior art," used to assess if an invention is patent-worthy. If a Patent Office examiner's mistakes are revealed in court proceedings, there are no legal consequences, Slifer said, "but if an applicant does that ... it appears they lied to the patent office." The issues of cost and inequitable conduct continue to be primary concerns for many patent filers (only 236 accelerated requests have been made since August 2006). While there are some issues with the current process, you can't argue with this result. Let's see how long the PTO can keep it up . . .
For more information on accelerated examination, see the USPTO FAQ and guidelines here. To view the '939 prosecution history, see here. To read article on Micron's views on accelerated examination, see here. Scenario #1: Revive “synergism” test, where a combination of elements must result in an effect that is greater than the sum of the separate parts (Anderson’s-Black Rock, Inc., v. Pavement Salvage Co., 396 U.S. 57, 61 (1969) (holding patent invalid because ‘‘[n]o such synergistic result is argued here’’); Sakraida v. Ag Pro, Inc., 425 U.S. 273, 282 (1976) (holding patent invalid because it was a mere combination of old elements and had no ‘‘synergistic effect’’). It wasn't long after Price Waterhouse Cooper released its patent litigation survey that the Wisconsin Technology Network published this article by Gina Carter, touting the virtues of the Western District of Wisconsin and its prowess with patent cases. (3) Heavy courtroom whip-cracking keeps slovenliness severely in check. While this seems unbelievable, patent cases filed in Madison have an average resolution time of six months, four days. There's also some insight on courtroom protocol: Judges John Shabaz and Barbara Crabb are known to start trial conferences as early as 6:30 a.m. in Shabaz's courtroom, and 7:30 a.m. in Crabb's. Mornings are long, with lunch breaks often postponed, some as late as 2:30 p.m. Needless to say, trial dates in the court are firm. While the jurisdiction has a pro-plaintiff record, there doesn't appear to be an open bias. The court has previously shown that it is willing to dismiss weaker cases early on, even if the plaintiff is home-grown. When HyperPhrase Technologies sued Google and Microsoft in separate suits, Judge Shabaz found in favor of Microsoft, and quickly dismissed the claims against Google, calling them "nonsense." Stephen M. Pinkos, deputy under secretary of Commerce for Intellectual Property and deputy director of the United States Patent and Trademark Office (USPTO), has announced that he will be leaving the USPTO at the end of March. "My time here has been very rewarding and a tremendous opportunity to work with dedicated people who appreciate the importance of intellectual property (IP)," remarked Deputy Under Secretary Pinkos who will be moving with his family to Fort Worth, Texas. "It was difficult for me to decide to leave the USPTO before the end of President Bush’s term, but this is the right time for our family." The Secretary of Commerce appointed Mr. Pinkos to the position of Deputy Under Secretary in August 2004. As a leader in intellectual property (IP) policy, he has helped develop and articulate Administration positions on all patent, copyright, and trademark issues, both domestic and foreign. He also has promoted strong IP policy globally, including strategies to thwart the theft of U.S. IP around the world. As an agency leader, he implemented policies and initiatives that provide innovators with quality and timely patent and trademark examinations. Before coming to the USPTO, Steve served as Staff Director for the House of Representatives Committee on the Judiciary. Of course, when administrations approach their twilight year, it is common to see numerous resignations during this time period - more resignations are expected in the coming year. Skyline sued Keyhole (who was subsequently purchased by Google) in 2004 for allegedly infringing US Patent No. 6,496,189, which describes a method and apparatus for streaming three-dimensional terrain data over a network, using data blocks arranged in a hierarchical data structure to improve performance. Skyline also alleged that Google software for three-dimensional terrain visualization (i.e., Google Earth) also infringed. Keyhole's 3-D mapping technology has been considered one of Google's biggest successes outside of its search engine (according to Google, the Earth software has been downloaded more than 100 million times). receiving from the renderer one or more coordinates in the terrain along with indication of a respective resolution level . . . While Skyline pointed to various aspects of the Google Earth enterprise suite that performed "rendering," Skyline could not define a "renderer" in the context of a single discrete entity. Judge Woodlock noted that reciting a claim element as a "thing" with an associated function does not give the patentee permission to stretch that function among multiple "things" that happened to collectively perform the function. In other words, "identifying a set of tasks which are performed is not the same as identifying an object which performs a set of tasks, even if the end result is the same." Skyline's ultimate position, as presented at the summary judgment oral argument, appears to be that the Google Earth Client, a "software application, running on the local processor," itself "performs the three renderer functions." . . . However, Skyline also suggests that unspecified pieces of the Google Earth Client source code perform the functions of the renderer, suggesting a more granular definition . . . In either formulation, the Skyline position, which I reject, erroneously conflates the functions of the renderer with the separate thing that is a renderer. This takes considerable and unwarranted poetic license with the Markman construction and, as I noted during the hearing on the motions, calls to mind Yeats’ question: "How can we know the dancer from the dance?" W. B. Yeats, "Among School Children, The Collected Poems of W.B. Yeats," 215, 217 (Richard J. Finneran ed., rev. 2d ed. 1996). Download/view the entire order here. Last month, Apotex was ordered by the EDNY to pay Eon Labs $3.1 million in attorney fees and expenses in a patent case that was battled for years before Apotex admitted that their patent was "technically" invalid. In what can only be described as a "missing-the-boat" scenario, Apotex filed for the patent-in-suit in the U.S. more than one year after the invention was already granted a patent in New Zealand, which should have invalidated the patent under 35 U.S.C. 102(d). The rub here was that nobody discovered this fact until, as Judge Cohn peevishly stated, on "the morning of the sixth day of a bench trial, following five years of hard fought and sometimes contentions pretrial proceedings." During prosecution, the USPTO examiner cited the New Zealand patent, but did not make the 102(d) connection. In fact, the examiner offered Apotex to claim priority to the related New Zealand patent - Apotex refused. Sherman's Rule 63 Declaration is dated September 14, 1996. Based on the record, it is clear that this date is incorrect . . . The only conclusion which can be drawn from the evidence is that Sherman backdated the Declaration because he had learned, after September 14, 1996, but before September 26, that the New Zealand patent had issued. There is no satisfactory explanation to the contrary. The '033 application was filed on September 17, 1996. Apotex's Toronto office received notice that the New Zealand patent issued in May, 1996, on September 18, 1996. No effort was made to notify its outside counsel of this fact. Indeed, the outside counsel did not learn of the New Zealand patent until after the case was dismissed. Amazingly, Apotex characterized this fact as a "technicality," which prompted Judge Cohn to severly chide Apotex in the opinion (see footnote 21 on page 20 for more juicy bits). Judge Cohn did not spare Eon either, noting that he found it "mystifying" why Eon did not investigate the New Zealand patent "until after five (5) days of trial, and only then after the Court's comments relating to the New Zealand patent." Accordingly, the original $4.4M award was reduced by 30% "because the defendant bears some responsibility for the debacle which this case represents." Special Thanks to the Orange Book Blog for breaking this story. Reissue Attempt Fails in USPTO, Since Poor "Choice" Is Different From an Actual "Mistake"
Serenkin filed a provisional application, and, prior to the one-year expiration, filed a PCT application claiming priority to the provisional document. Instead of filing a non-provisional US application, the PCT designated the U.S. as the designated receiving office, presumably to buy time to decide whether or not further prosecution was warranted. When the PCT was filed, Serenkin's counsel forgot to include the drawings with the filing. About a month later (i.e., after the one-year bar date), the USPTO provided Serenkin with the choice of either submitting the drawings and receiving a new international filing date (and losing priority), or proceeding without the drawings and retaining the original filing date. In the event Serenkin chose the latter, the USPTO informed him that "any reference in the international application to these drawings will be considered non-existent" and "will not be taken into account for the purposes of the international processing." Serenkin chose to file new drawings, accepting the later filing date, and later requested that WIPO republish the application with no priority claim and showing the late filing date. During the national phase, the application was amended to delete the reference to the provisional application. Ultimately, a U.S. patent issued. Serenkin’s attorney acquiesced to the PCT examiner’s requirement of making a choice between the original international filing date and the drawings. He made a conscious decision to select the latter. Notably, unlike the attorney in Mead, the consequence of losing the January 28, 1998 filing date was not a fact discovered at some later point, but was an issue that was brought to the attention of Serenkin’s attorney by the [USPTO] at the time of his decision. Yet he proceeded to choose that option. Thus, this case is even less meritorious than Mead. Serenkin cannot now rely on the reissue statute, in light of a belated decision that he should have retained the original filing date, in order to undo the consequences of his attorney’s deliberate choice. As the court articulated in Orita, to do so would undermine the importance of the applicable rules set forth by our national patent laws and international patent treaties. This week marks the official beta launch of LegalForce IP, an on-line IP brokerage and outsourcing company, that has taken a page out of the Wiki/Web 2.0 approach to valuation and selling of patents. Part eBay, part MySpace, and part LinkedIn (the web interface has an eerie resemblance to early versions of LinkedIn), LegalForce is attempting to create a webspace where entrepreneurs and investors can find patents and exchange ideas on a more open platform. The site's search engine allows users to find patents, and provides contact information for all patent attorneys in the US, and even some non-US attorneys as well. Eventually, the goal is to provide access to all U.S. patents and provide related profiles of inventors, owners and attorneys associated with particular patents. The entry of LegalForce expands the ranks of similarly-situated companies such as Patent Cafe and Yet2.com, who have patent listings, but offer them mainly as part of a consulting package and typically place offers only on the behalf of paying clients. Ocean Tomo, which operates mainly as a merchant bank (and also uses Yet2.com's platform), helps place values on patents to help facilitate buying and selling. Twice a year, Ocean Tomo hosts live auctions of patents, and has an upcoming auction scheduled for April 18-19 here in Chicago (see here). According to LegalForce's webpage, anyone can list patents for sale or license for free until June, and only pay $299 to list patents afterwards (trademarks can be listed for $99). Members of the public can browse through the offered patents for free anytime, and can join "groups" to collaborate on evaluating or obtaining specific patents. LegalForce also publishes a set of white papers on various IP-related topics, to help users understand the processes used for their service (see paper on valuation here). Matt Marshall from VentureBeat took the patent interface out for a test ride and posted his report here. Jim Moore, a fellow at Harvard’s Berkman Center for Internet & Society, also viewed the site, and posted this favorable article on the idea. 29 cases that included both patent and trademark issues. The study also reviewed 350 CAFC cases, which included 273 patent cases, 70 trademark cases, and 7 cases that included both patent and trademark issues. For the second year in a row, the number of patent lawsuits have declined from the previous year. Juries continue to play important role for plaintiffs - juries were again found to award larger damages than judges, which continued the steady shift from bench trials in patent cases. Since 2000, juries have decided 53 percent of patent damage awards. 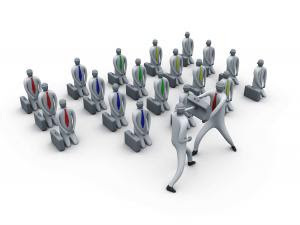 Overall plaintiff win-rate is lower - the PWC study found that plaintiffs won only 35% of the time. This seems low to me, as recent studies indicated that the plaintiff win rate was closer to 58% (see earlier 271 Blog post). However, the win rate increases to 61% after motions for summary judgment have been considered and the case continues. Damage amounts are leveling off - during 2000 - 2006, the number of awards in patent cases increased 59 percent compared to the 1990s. However, there has been a leveling of median award amounts in the past few years and a sharp reduction in the average award amount over 2006. More "reasonable royalties" and less "lost profits" - since 2000, reasonable royalties have overtaken lost profits as the most frequent basis of damage awards in patent cases (65 and 32 percent respectively). The most "plaintiff-friendly" jurisdiction in patent cases is . . . W.D. Wisconsin? While it may not be as well-known as the E.D. Tex., the W.D. of Wisconsin has been a popular plaintiff's destination for a while. Judges Barbara Crabb and John Shabaz have shown they can move cases every bit as fast as judges Ward, Davis and Folsom, and it isn't uncommon to see patent cases go to verdict in a year's time (for an interesting article on the W.D. Wisconsin, click here ). The W.D. Wisconsin is also one of the handful of jurisdictions that have adopted patent rules for litigation (the others being in California, Texas, Georgia & Pennsylvania). One of the surprising findings of the PWC study was that the Western District of Wisconsin has been the most favorably disposed to plaintiffs (yes, even moreso than the E.D. Texas), with a recent win rate of 63 percent overall and 91 percent after summary judgment. As a patent plaintiff, stay away from the E.D. Michigan - perhaps even more surprising was the finding that the district with the lowest win rate for plaintiffs is the Eastern District of Michigan, with a plaintiff win rate of 12 percent overall (!) and 33 percent after summary judgment. To obtain a copy of the report, contact: Kathryn Oliver @ (860) 241-7333, or e-mail: kathryn.oliver@us.pwc.com. See press release for the report here. Characterizing the patent system as hurting innovation is a "fundamentally wrong" way to frame the debate. "I have traveled around the world, and every nation is thinking how it can model [intellectual property governance] after the U.S," Dudas said. "It's a proven system, over 200 years old. The Supreme Court, Congress and policy makers are involved [in cases and legal reforms] not because the system is broken. It's not perfect, and we should be having the debate on how to improve." Dudas said that the average examiner salary is in six figures, and that the agency can offer competitive salaries for college graduates. The USPTO is also looking to expand on "hoteling" –85 percent of trademark examiners work from home and currently 10 percent of patent examiners are working remotely. Dudas claimed that "the biggest threat" today on bad quality patents is the law of obviousness. Dudas said that examiners need to be given more deference in determining what is obvious. While Dudas did not speaking publicly on the issue, Hal Wegner has been tipped off by a "highly reliable source" that, during a discussion with computer industry leaders, Dudas claimed that the proposed continuation rules were "dead as a doornail." See post from the Patent Prospector. "[The USPTO] wants to push this through, so I'm surprised [Dudas] would categorically state it was 'dead' . . . the original proposal was scrapped, so maybe that's what he was referring to." "The proposal went cold at the end of last year, and various people began gossiping that it would be dropped for a later date, but, as far as I know, [the USPTO] is working on a modified draft as we speak." Yesterday, the USPTO released a Federal Register Notice titled "Changes to Representation of Others Before the United States Patent and Trademark Office," which updates the 2003 draft that tried to define the allowable scope of representation for patent agents and attorneys. Under the new proposel, drafting patent applications would continue to be "practice before the Office." However, the revised proposed sections indicate that a registered practitioner must be able to provide clients with advice about relying upon alternative forms of protection that may be available under State law. A registered patent agent is not authorized by his or her registration to practice before the Office to draw up a contract or to select contract forms for a client relating to a patent, such as an assignment or a license, if the state in which the agent resides or practices considers drafting contracts the practice of law. Assignments and licenses are the creation of state, not federal, statutory law. Although 35 U.S.C. 152, 202, 204 and 261 refer to assignment or licensure of patents or patent rights, assignments and licenses are forms of contracts, which are creatures of state, not federal law. While the notice singles out agents, it is apparent that attorneys can be caught up in this as well(i.e., an attorney from CA filing an assignment for a NY client). See more from Anything Under the Sun blog and Patently-O. The PTO is soliciting comments, which are due by May 29, 2007. Comments should be e-mailed to the PTO's director of OED Harry Moatz @ ethicsrules.comments@uspto.gov.